This is a limited edition print based on the popular DC Comics character, Batman. This high-quality, archival limited edition print features the Dark Knight overlooking Gotham while in the rain, with the brooding vigilance that only Batman conveys. This image was created by comic artist John Romita Jr. and the print is reproduced faithfully to his specifications and precision. 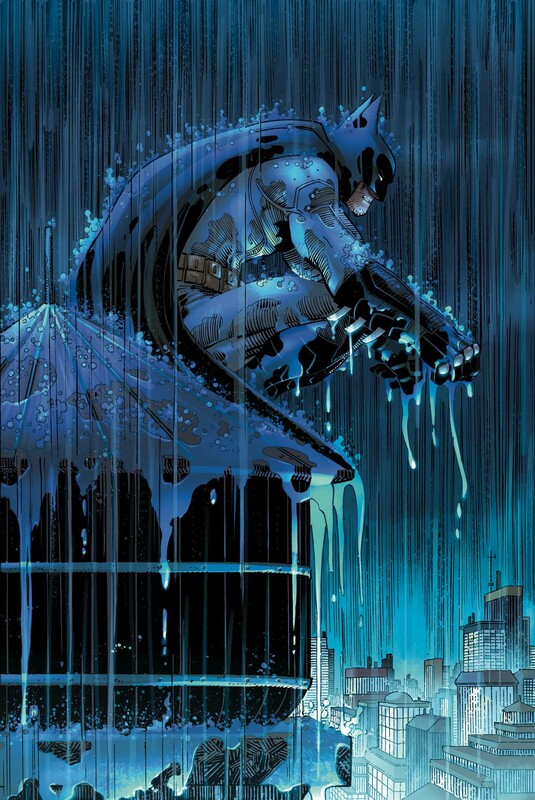 The image, titled "Batman: Two Storms" is a stunning and dramatic image of Batman in the rain and is designed to mirror an image that John Romita Sr. and Jr. did a number of years ago, of Spiderman in the rain. This is for the deluxe version of the print, which is printed on archival canvas, bringing the image to life in the brilliant vibrance of an original painting. The image measures 17.5" x 26.25" and was created in a strict edition of only 100 pieces for the regular edition. The print is signed by John Romita as well. This piece is published by the studio art program and comes directly from their inventory. Delivery may take 3-4 weeks. The canvas is shipped unframed and unstretched and will ship rolled in a sturdy mailing tube. Please write to inquire with any questions, info@vegalleries.com.